Get ready for the holidays with Montgomery Theater's "The Great American Trailer Park Christmas Musical," onstage through December 20. Photo by Angela McMichael. 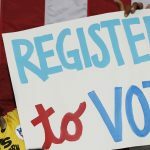 Robin Bloom offers over 30 suggestions for what to do this week! 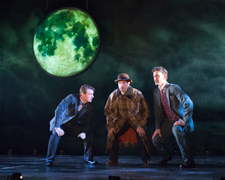 Onstage at Philadelphia Theatre Company is Baskerville: A Sherlock Holmes Mystery, Ken Ludwig’s adaptation of Sir Arthur Conan Doyle’s 1901 mystery “The Hound of the Baskervilles.” Featuring the original design team from the McCarter Theatre production (which staged the play earlier this year), the show is directed by Amanda Dehnert with a cast of five actors playing 40 roles with imaginative non-traditional staging through December 27 in the Suzanne Roberts Theatre, Broad and Lombard Streets, Philadelphia. Special events include a Meet-the-Artists Talk Back on December 3 and 17, backstage tour on December 12 and more. Photo by Mark Garvin. For one last time, Broadway veteran Graeme Malcolm reprises his role of Ebenezer Scrooge in Charles Dickens’ A Christmas Carol, at McCarter Theatre Center, December 4-27. Michael Unger directs the critically-acclaimed classic production, with an original score by composer Michael Starobin. After sixteen seasons, the production will be retired in preparation for a reimagined version to debut in 2016. Featuring a cast with Broadway, regional and international credits as well as fourteen local children, 91 University Place, Princeton, NJ. 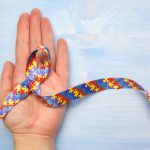 Special services for patrons include visual and audio impairments at no additional charge on December 12-13. Photo by T. Charles Erickson. 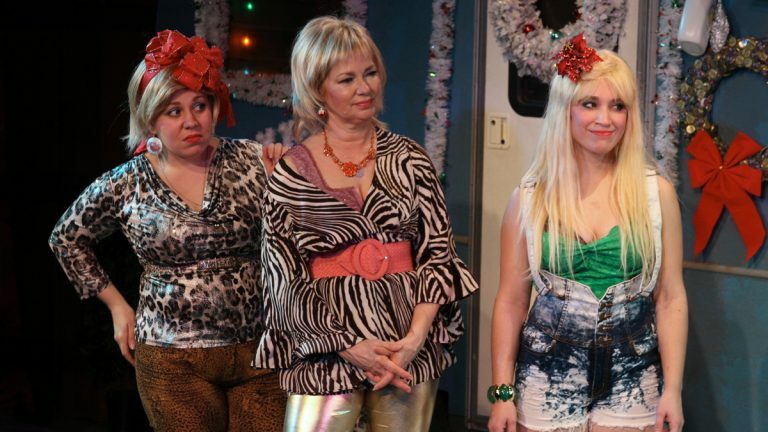 Head back to Armadillo Acres Trailer Park in Florida for Montgomery Theater’s The Great American Trailer Park Christmas Musical. The follow-up to the fan-favorite “Great American Trailer Park Musical” (by David Nehls and Betsy Kelso) has been Barrymore recommended and features Jenny Lee Stern, Barbara McCulloh, Sarah Gafgen, Elena Camp, Joseph Michael O’Brien and Bryan DeSanto. Directed and choreographed by Stephen Casey with musical direction by Michelle Ferdinand, through December 20, 124 Main Street, Souderton, PA. Photo by Angela McMichael. 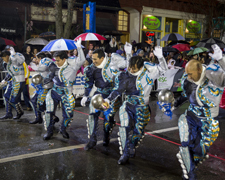 Join the West Chester community tradition at the 36th annual Mars Drinks Old-Fashioned Christmas Parade presented by QVC, Friday, December 4, beginning at 7:15pm. The parade begins with the Jingle Elf Run at 6:30pm and features 200 performers and pop star Ashlee Keating, floats, giant character balloons, antique cars, and more than a dozen regional high school and college marching bands, culminating in the arrival of Santa as it loops around Market Street and Gay Street in downtown West Chester, PA. The parade will be broadcast live on QVC. Deck the Alley returns Saturday, December 5, 3pm-7pm, featuring tours of the private historic homes on Elfreth’s Alley, the nation’s oldest continuously lived on street, as residents open their homes to the public for tours. 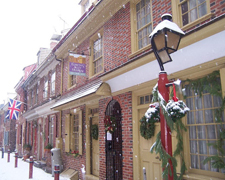 Admission includes seasonal refreshments, colonial carolers, holiday stories, a visit by Benjamin Franklin, and upside-down Christmas tree, 126 Elfreth’s Alley, Philadelphia. East Passyunk Avenue Business Improvement District and Passyunk Avenue Revitalization Corporation hosts Deck the Ave, Thursday, December 3, 5pm-9pm, a free celebration including live music, carolers, holiday sweets, and more, along with a tree Lighting Party at the Singing Fountain, Tasker Street and EPA, South Philadelphia. Join the Blue Cross RiverRink Winterfest for a holiday tree lighting, Friday, December 4, 6pm-9pm, with a cast of performers, singers, dancers, and ice skaters celebrating First Friday. The holiday tree features over 40,000 lights, presented by PECO, 101 S. Columbus Boulevard, Penn’s Landing. 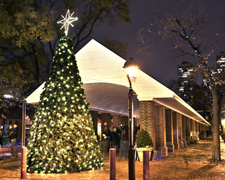 South Street Headhouse District hosts the annual Winter Wonderland, with crafts, performances, a holiday market, visits from Santa, and the lighting of the holiday tree (pictured) and Hanukkah menorah, Sunday, December 6, 3pm-7pm, Historic Headhouse Square Shambles, 2nd Street between Pine and Lombard Streets, Philadelphia. 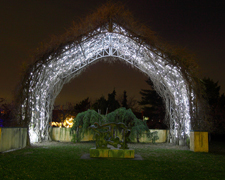 Grounds for Sculpture, the 42 acre sculpture park and arboretum, kicks off the holiday season with Hello Holidays! 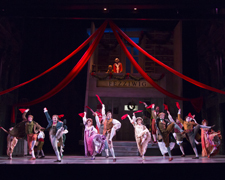 On Friday, December 4, A Boheme Opera NJ Christmas Card performance takes place at 7pm. On Saturday, December 5 from 1pm-5:30pm, enjoy family activities and workshops, a unique staged radio drama of “A Christmas Carol” by Raconteur Radio, a Winter Tea at the Peacock Café (reservations required), and more, 18 Fairgrounds Road, Hamilton Township, NJ. Dickens Festivals are celebrated this week throughout the region. In Medford, NJ, downtown Main Street closes and transforms visitors back to England in the days of Charles Dickens, with a visit from Santa in a horse-drawn carriage along with musical entertainment, crafts, food and the lighting of the holiday tree at the gazebo, Saturday, December 5, 6pm-10pm. On Sunday, December 6 in Narberth, PA from noon-4pm, with activities for all ages, including a scavenger hunt, horse and carriage rides, music, carolers, crafts, and more. 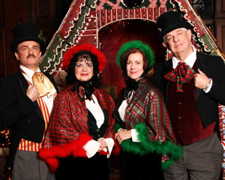 Cape May hosts the annual Dickens Christmas Extravaganza, December 6-8. The Ebenezer Maxwell Mansion’s Dickens Christmas Party (pictured) is Saturday, December 12, 1pm-4pm and “An Evening with Charles Dickens” with Edward G. Pettit at 7pm. 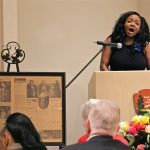 Without a Cue Production’s interactive comedy A Dickens of a Murder Dinner Theatre is December 6, 13, and 20 at Cecil Creek Farm in Mickelton, New Jersey and at Palm Restaurant in Atlantic City. A Dickens’ Experience in Old New Castle, DE takes place December 11-12, transporting visitors back to mid-19th century England. 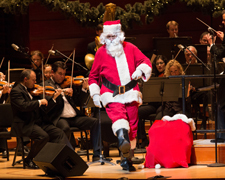 The Philly Pops annual Christmas Spectacular (pictured) is December 4-22, led by noted guest conductor David Charles Abell with guest vocalist and Broadway veteran Lisa Vroman, accompanied by the Philadelphia Boys Choir, the African Episcopal Church of St. Thomas Gospel Choir, Wanamaker Organist Peter Conte, and the POPS Festival Chorus. Featuring holiday favorites and the popular audience sing-along, Kimmel Center, Broad Street, Philadelphia. Kennett Symphony celebrates its 75th anniversary with Pops Goes the Holiday, Saturday, December 5, 7:30pm, featuring sounds of the season with the Kennett Symphony Children’s Chorus, a sing-a-long and visit from Santa at Unionville High School Auditorium. Pre-concert entertainment includes selfies with Santa and stay for a post-concert Q&A with music director Michael Hall. 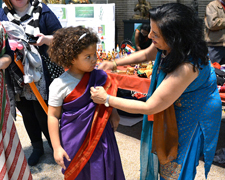 Penn Museum’s 20th annual Peace around the World holiday celebration (pictured) is this Saturday, December 5, 11am-4pm. Upon entrance, visitors receive a “passport” itinerary to explore the holiday traditions of many cultures from around the world. Activities include music and dance performances, storytelling, face painting, balloon art, crafts, and much more, 3260 South Street, Philadelphia.The American Swedish Historical Museum’s annual Lucia Fest and Christmas Market is Saturday, December 5, 11:30am-4:30pm, with family activities, Lucia processions with traditional songs and dances, and more, at 1900 Pattison Avenue, FDR Park, South Philadelphia. Originally celebrated by the Norse as the winter solstice, the festival of St. Lucia marks the beginning of the Christmas season in Scandinavia.In commemoration of the 150th anniversary of the birth of Jean Sibelius, Lyric Fest offers Sibelius celebrates 150, a mini concert and Happy Hour Tuesday, December 8. 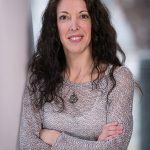 Enjoy a glass of wine and snacks at 5:30pm and the concert starts at 6pm with works sung in the original Swedish, Finnish and German, the Academy of Vocal Arts. 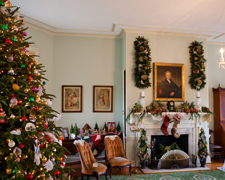 Take a Historic Houses of Fairmount Park Holiday Tour. The 44th annual Christmas in Fairmount Park holiday tradition kicks off December 3 with an open house, candlelight tour, Holly Trolley Day, and trolley tours of the six Fairmount Park’s “Charms,” Cedar Grove, Laurel Hill Mansion (pictured), Lemon Hill, Mount Pleasant, Woodford, and Strawberry Mansion, dressed up with themes for the holidays, with special events, and more through December 20. Photo by Lauren Schwarz Photography. The Mercer Museum captures the excitement of Christmases past from a child’s perspective with an exhibit of toys and games from the 1860s to the 1980s with their annual holiday display. 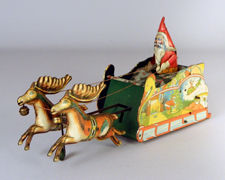 Under the Tree: A Century of Holiday Trees and Toys features decorated trees and popular toys from the Victorian age through the post-World War II period on view through January 3. Tour nearby Fonthill Museum’s Winter Wonderland and take the Holiday Lights Meander, Saturday, December 123, East Court Street and Route 313, Doylestown, PA. Photo courtesy of Mercer Museum.The historic riverfront estate Glen Foerd celebrates Christmas at the Mansion, Saturday, December 5, 1pm-6pm. Enjoy the mansion in full holiday décor. Settlement Music School offers musical and ballet performances. Plus, treats, tree lighting ceremony, crafts, visit from Santa, and more, 5001 Grant Avenue, Philadelphia.The Marshall Steam Museum at Auburn Heights Preserve presents an Old-Fashioned Holiday, Sunday, December 6 and Sunday, December 13, 12pm-3pm. Enjoy hot chocolate, trains, story time with readings of The Night Before Christmas and The Polar Express, Victorian and train-inspired holiday crafts and activities, and a photo exhibit, “Snow Travelers: Experiencing Winter at the Dawn of the Automotive Age,” 3000 Creek Road (Rt. 82), Yorklyn, DE. The Museum boasts the world’s largest operating collection of Stanley steam cars.Enjoy Christmas as celebrated from 1771-1883 with Hopewell Furnace National Historic Site’s free Iron Plantation Christmas, Saturday, December 5, 10am-4pmm with recreated holiday scenes inside the National Park Service’s historic buildings. Plus, customs, foods, and traditions of the holiday season including Der Belsnickel, costumed volunteers, caroling, and more. The national historic site is surrounded by the 73,000 acre Hopewell Big Woods, the largest forest in Southeastern Pennsylvania, 5 miles south of Birdsboro, PA on Route 345. 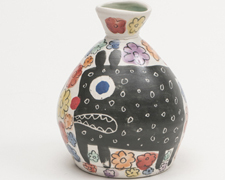 The Clay Studio’s A Hand Crafted Holiday features unique, hand-made traditional and contemporary pottery on Saturday, December 5, 11am-6pm, representing a wide aesthetic range of over one hundred artists, affordably priced for holiday gift giving, 137-139 North Second Street, Old City, Philadelphia. Pictured: Bud vase by artist Kurt Anderson.Craft Forms 2015 and Emergence: Craft + Technology opens at the Wayne Arts Center this Friday, December 4, in its 21st year, featuring works of fine contemporary craft made from ceramic, metal, glass, fiber, and mixed medium. A Preview Party will be held Friday, December 4, 6pm-10pm, with cocktails, hors d’oeuvres, and live jazz, 413 Maplewood Avenue, Wayne, PA.The University City Arts League (UCAL) Annual Holiday Craft Show and Sale kicks off December 4-20 with handmade, one-of-a-kind creations in pottery, hand-blown glass, jewelry, wearable art, and much more, by 30 local artists. Opening reception is on Friday, December 4, 5pm-8pm, at 4226 Spruce Street, Philadelphia.The Delaware Center for Contemporary Arts (DCCA) Contemporary Craft Show and Taste of the Holidays takes place Friday, December 4, 5pm as part of First Friday Art on the Town, with 18 local artists offering original fine arts and crafts for holiday gift giving, 200 South Madison Street, Wilmington, DE. Latkepalooza returns to the Gershman Y, Sunday, December 6, 2pm-4pm, offering gourmet latkes from nine Philadelphia chefs as well as family fun including music by the Plants, magic by Ari Paul, Hanukkah crafts and children’s activities, 401 South Broad Street, Philadelphia.The 8 piece ensemble The Klez Dispensers perform a Chanukah Concert for all ages, on Sunday, December 6, 2pm at the Paul Robeson Center for the Arts, 102 Witherspoon Street, Princeton, NJ. 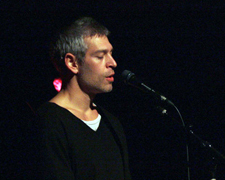 The mix of klezmer, jazz, Yiddish swing, and original music on clarinet, trumpet, saxophone, violin, piano, bass, drums and vocals is presented by the Arts Council of Princeton.Matisyahu (pictured) returns to the Philadelphia area for his Festival of Light tour, in celebration of the 10th anniversary of his breakthrough platinum selling album “Live at Stubb’s,” Tuesday, December 8, 8pm, State Theatre of New Jersey, 15 Livingston Avenue, NJ, Friday, December 11, 8:30pm at the Keswick Theatre, 291 N. Keswick Avenue, Glenside, PA, and Saturday, December 12, 8pm, the Grand Opera House, Wilmington, DE.The Philadelphia Museum of Art hosts a Shining Stars Orchestra Hanukkah Party, Friday, December 11, 5pm-8:45pm, with klezmer and Yiddish music, Benjamin Franklin Parkway, Philadelphia.1812 Productions presents a special return engagement of Improvukkah: Improv for the Holidays, December 14-15, hosted by Thomas E. Shotkin (as Uncle Shotsie), with Dave Jadico, Mary Carpenter, Don Montrey, Kristin Finger, Noah Herman, and Fred Siegel, for families celebrating any December holiday, Plays and Players Theatre, 1714 Delancey Street, Philadelphia. Take advantage of free meter parking in Philadelphia after 11am on Saturdays through New Year’s.